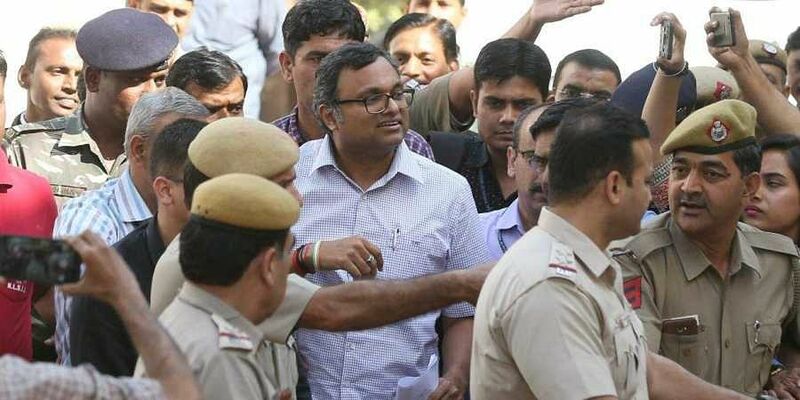 CHENNAI: Karti, son of former Union Minister P Chidambaram and also a former director of Advantage Strategic Consulting Private Limited, has moved the Madras High Court to defreeze the firm’s current bank accounts. Stating that the ED on May 18, 2017, registered an Enforcement Case Information Report in the INX Media Case on the basis of the FIR filed by the CBI, the petitioner said the allegation in the CBI FIR was that he, through the company, had received Rs 10 lakh as illegal gratification for influencing the officials of the FIPB unit of the Union Ministry of Finance. Thus he had misused his relationship with Chidambaram, who was the Union Finance Minister then. The alleged offence, according to the FIR filed by the CBI, pertains to 2007 and at that point of time, the total value involved in money laundering should be more than Rs 30 lakh, whereas in this case the amount involved is only Rs 10 lakh. Hence the ED has no jurisdiction to investigate the alleged offence under the PMLA in relation to INX Media and consequently the communication sent by the ED to all bankers to freeze the accounts of the petitioner is without authority of law, he contended. After the ED on Thursday froze the assets worth Rs 54 crore of Karti, his legal counsel N R R Arun Natarajan, in a statement, said the attachment is an exparte order based on the transaction of companies of which Karti is neither a shareholder nor a director. “The attachment order will be contested by my client,” he said.